Samsung Electronics, the multinational electronics and IT company headquartered in Suwon and the flagship company of the Samsung Group, needs no introduction. 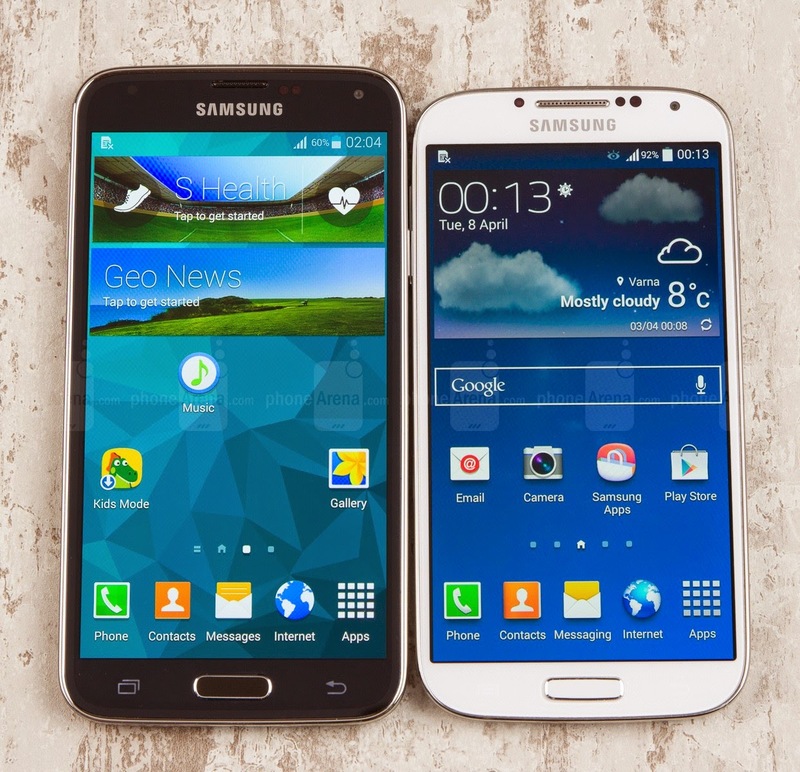 Samsung is a household name, and has been in the forefront of the smartphone technology. The new Samsung Galaxy S5 can be defined by one word: evolution! Samsung has always been one of my favourite smartphone makers. And I make do to pride myself as being one of the very first persons in Nigeria to purchase the new Samsung Galaxy S5. My previous device, a Samsung phone got damaged so I intended a fix but changed my mind. A lot could happen when you have cool cash in your bank account (no offense intended). There has been so much buzz about the new S5 both on the internet and offline. In this article, I will be sharing with you, some of my experience with my new device. Trust me, I will be a true critic. The camera of the new S5 has been enhanced to give clearer, faster snaps. The fitness-tracking abilities of the S5 are enhanced over the Galaxy S4 by packing in a more powerful S Health app and a dedicated heart rate monitor on the rear which I use a lot. The fingerprint scanner is one super feature I respect. It is a show of class from the so-called super iphone’s fingerprint that is just a crap of a feature to the Apple product. A couple of my friends have tried to hack the device’s fingerprint security. So far, I have not seen anywhere on the internet that claims a successful breach of the S5 fingerprint feature. The battery is a lot larger, the screen is bigger and brighter, and the processor is the quickest I have ever used! Way faster than most computers you have ever used. And for the physical design, Samsung could have done a lot better. Most people don’t recognise I am using the latest Samsung product by looking at it – it does not stand out at all. The famed water resistant feature? Well, after putting out over a 100k on a mobile phone, I was not going to make such a decision of testing this feature easily. I immersed the Samsung S5 in water for almost 30 minutes – I still use the phone till today! So you would ask, what is the rationale behind such decision? What if the water damages the phone? Well it all hinges on the Samsung’s Accidental Damage Handling (ADH)! This warranty is a special one for S5 Device. If your screen gets damaged or liquid finds its way in, no questions, you get a new phone. Please let Samsung know: my screen will break accidentally when I need a new phone! Battery life? For normal usage, it is not all impressive. On the flipside, Samsung introduced a new feature called: Ultra Saving Mode. A full charge can keep your phone for more than 10 days! Insane innovation by Samsung. That is all for now, I will continue my review in the next post. Meanwhile you can get yours where I got mine own Sweet device. Since online shopping is getting heated, with several options these days, my destination is always the EBay like company: Kaymu.com.ng. Till my next post, live a Samsung S5 life! Hello Patricia, thanks for your compliment. Hello Usman, I will allow this only once from you. Please note that this 'Comments' section is definitely NOT meant for advertising your products. If you want to advertise, please contact me via the address on the page linked to above on the navigation bar, or below on the footer. Cheers man! Hello Rinku, thanks for the compliment! And in addition, thanks for dropping by. Cheers! The Galaxy S5's other trap, the heart-rate monitor, is a flawless one in principle in light of the fact that its astutely integrated into the camera flash module, and in light of the fact that it ties so well into the health app. On the other hand, its an unique little something I wouldn't by and by utilize consistently, despite the fact that I do exercise normally. I'm not by any stretch of the imagination who this feature is guided to, however, since genuine wellness nerds will probably need to put resources into an all the more completely working wellness band in the event that they don't have one as of now. Still, it was enjoyable to make a pattern by putting my finger over the sensor.